Photo by Jeff Baughan Mike Lutz, the Executive Chef at the Blennerhassett Hotel, stands in the open kitchen area of the Brunello Restaurant and Bar. Lutz is a Parkersburg High School graduate and became executive chef in 2018. Photo by Jeff Baughan The long bar returns to the Brunello Restaurant and Bar in the Blennerhassett Hotel. The long bar will be able to serve 15 patrons along the serving area. 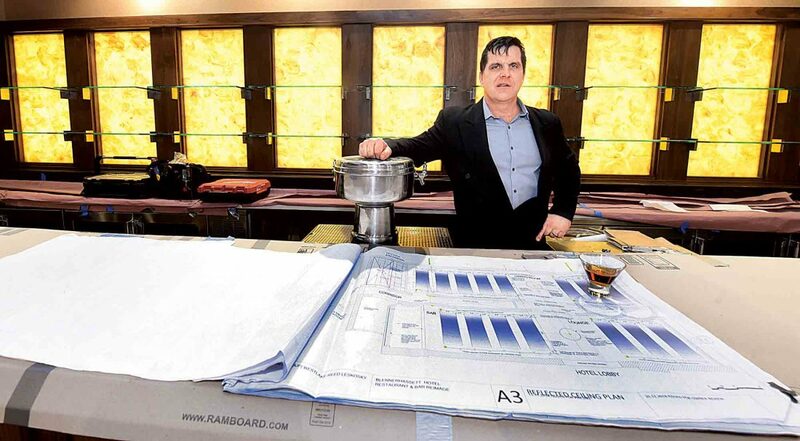 Photo by Jeff Baughan Derrick Downie, the Food and Beverage Manager for the Brunello Restaurant and Bar, stands in front of the long bar with a set of blue prints for the renovation-in-progress at the Blennerhassett Hotel. Photo by Jeff Baughan Signs in front of the lobby entrance to the Brunello Restaurant and Bar indicate the Blennerhassett Hotel’s fine dining is being served elsewhere in the hotel and the times the meals are available. 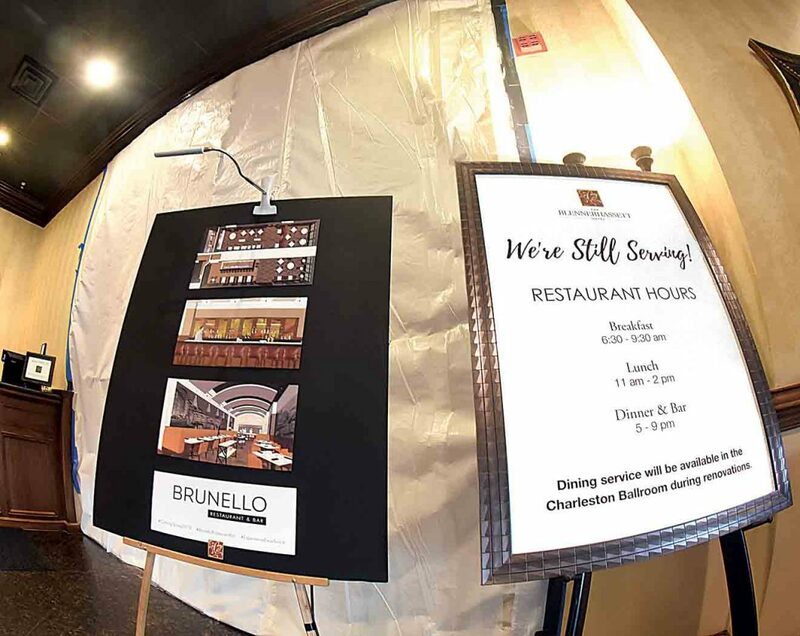 Photo by Jeff Baughan The Brunello Restaurant and Bar replaces the former Spatz Restaurant in the Blennerhassett Hotel in Parkersburg. PARKERSBURG — In the Blennerhassett Hotel, going from the lobby to what once was Spatz Restaurant, hangs a large sheet of white plastic. It is “what once was” because when the plastic drops, it will be the Brunello Restaurant and Bar, General Manager Larry McIntire said. The obvious question is why Brunello? “Brunello di Montalcino is a well known Italian wine produced in vineyards of the town Montalcino in the Tuscan region of Italy,” said McIntire. Montalcino is located in the province of Siena, Tuscany, in central Italy. “The name ‘Brunello’ will help us emphasize the new menu and our expanded wine offerings,” said McIntire. 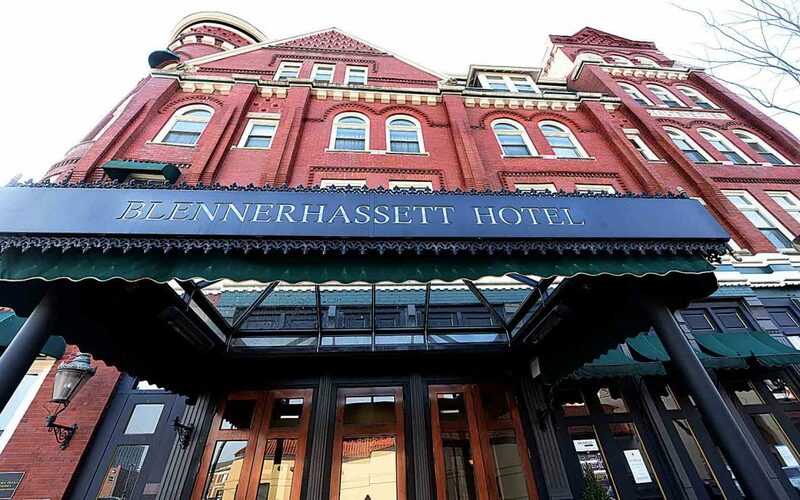 “We’re looking for a target date of opening during the month of May, but as with any construction, that timetable may change,” said Nicole Lafferty, marketing manager at the Blennerhassett Hotel. Spatz closed to the public Jan. 13. The new 2,800 square foot space will seat 135 people. The new restaurant will add 10 jobs with the expansion. 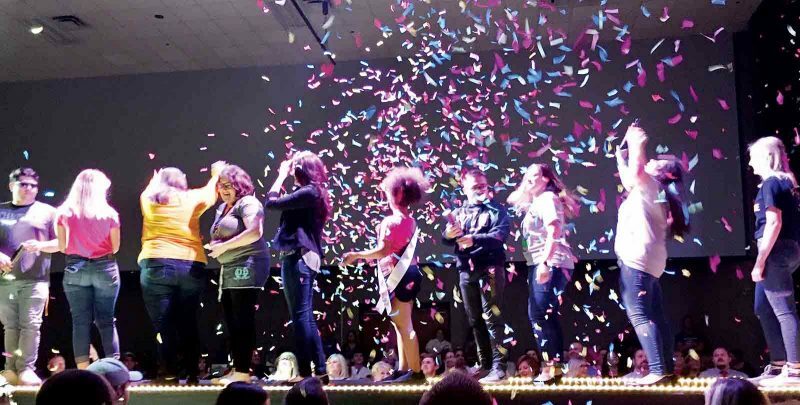 “We are really excited to bring a new product to the downtown area. We think this will create more value for our customers while adding to the history of the hotel,” said Michael Gibson, assistant hotel general manager. Bruell has nine successful establishments in Cleveland, including a restaurant-style catering and events company, Zack Bruell Events. In 2004, Bruell opened Parallax in Cleveland’s Tremont neighborhood. After only eight years, Bruell opened four more fine-dining restaurants: Table 45 at the InterContinental Hotel Cleveland; L’Albatros; Chinato; and Cowell & Hubbard. In 2013, Bruell opened DYNOMITE — his first fast-casual concept. In 2015, he opened Alley Cay Oyster Bar in addition to Exploration at the Cleveland Natural History Museum. In 2017 he created the concept and menu for Collision Bend Brewing Co.
“Brunello is the same foot print as Spatz, but the space was renamed,” Lafferty said. “And it’s going to be very dynamic. There’s going to be a new menu with a new wine and cocktail list,” said Derrick Downie, food and beverage manager at the Brunello. The new menu will include some holdover items, he said. The new menu items with more items than before will mean a new learning curve for the chef and staff, said Downie. Mike Lutz, who has been the hotel since 2005, is the Blennerhassett Hotel executive chef. The Parkersburg High School graduate began as a dishwasher, enrolled himself into the Pennsylvania Culinary Le Cordon Bleu Program. Lutz became junior sous chef in 2010 and sous chef in 2012. 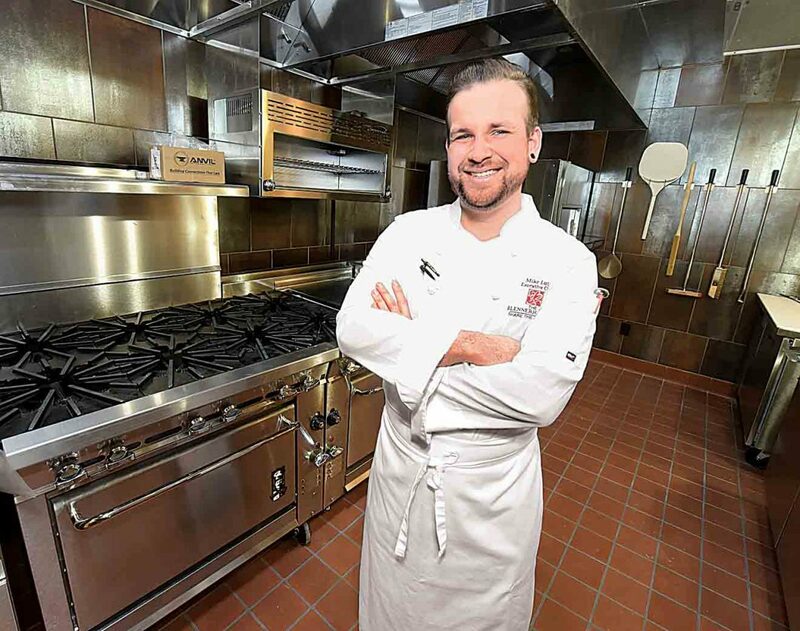 In 2018, Lutz became the executive chef. 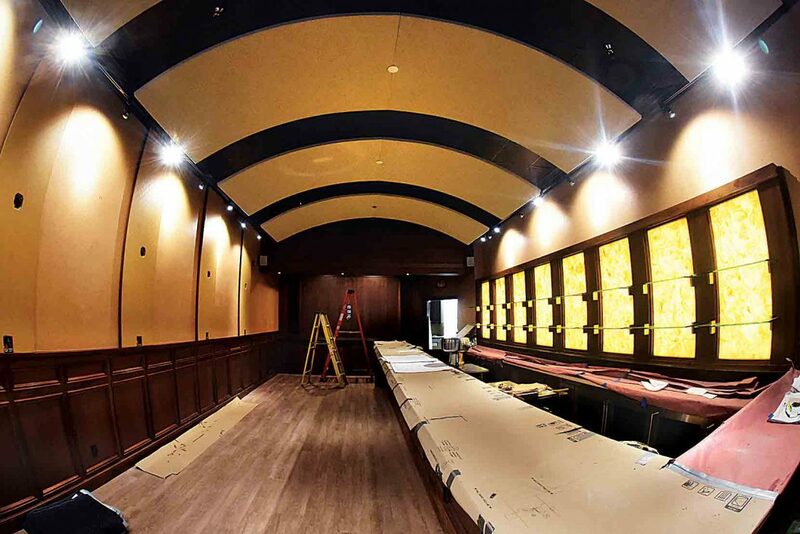 The long bar is returning to the Blennerhassett, with much of the area already in place. 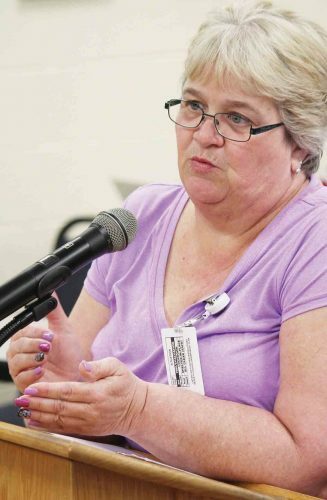 “The long bar is returning from the Brass Works time frame,” said McIntire. “It was still in place around the time of the hotel purchase in 2003 but is making its return. 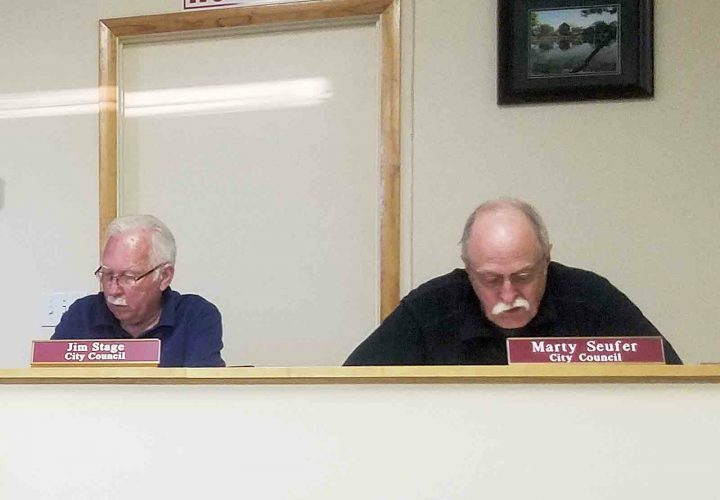 “The long bar will have a seating capacity of 15 while the former bar only had seating for six,” McIntire said. What has stayed are details for which the Blennerhassett restaurant was known, whatever its name happened to be at the time. Four booths will be located in the bar area with two in the restaurant besides the additional banket of booths, Downie said. The semi-private dining room also remains, he said. 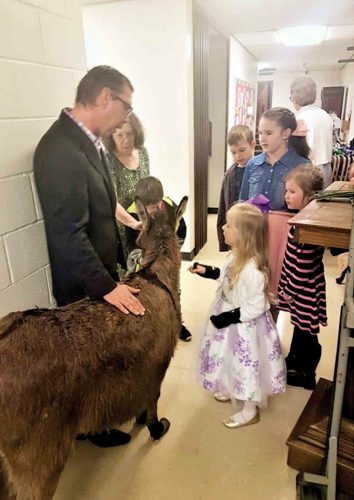 “That dining room gives us the option to have a gathering there along with the private dining areas like the ballrooms and second floor conference rooms,” Downie said. * Breakfast: Breakfast Buffet Daily in the Charleston Ballroom, 6:30 a.m. to 9:30 a.m. There is no cost for hotel guests. Outside customers will pay $15 for the breakfast buffet. * Lunch: Lunch in the Charleston Ballroom from 11 a.m.-2 p.m.
* Dinner: Dinner & Bar in the Charleston Ballroom from 5 p.m.-9 p.m. with a 10 p.m. ending time on the weekend.